Stephanie is originally planning to spend the holidays moving in with her boyfriend... until he breaks up with her. Faced with spending the holidays heartbroken, and homeless, she books a last minute flight home. Meanwhile, Michael is going to spend Christmas with his long-distance girlfriend. After years of being together he figures it's time to pop the question. 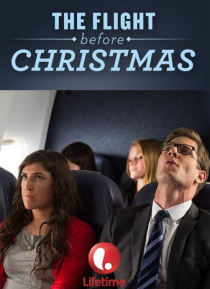 Stephanie and Michael find themse… lves on the same flight the day before Christmas Eve, and the two do not get off to a great start.